Don’t you wish you had a penny for every time someone says “I wish I had more time”. The truth is there are, and always will be, only 24 hours in a day and no amount of wishing will change that. However, what is within your control is how you use those 1440 minutes. One of the most common challenges I encounter when I coach busy leaders (and most leaders are very busy people!) is the stress they face trying to achieve a reasonable balance between their work (career and company) and the social (family, friends and community) aspects of their lives. When called on to work long hours in order to achieve a particular objective, they invariably feel guilty or annoyed at sacrificing personal time with friends and family. Similarly, when they devote time to themselves or their family, they tend to worry or fret about not working. 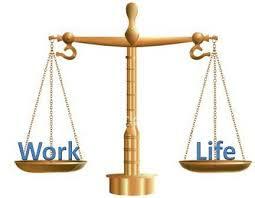 They all constantly strive to achieve the ‘Work-Life Balance’ we hear so much about, yet fail miserably to achieve it. If you find yourself facing the same problem, I will tell you what I tell my clients; There is no such thing as a work/life balance. separate parts of our existence, we perpetuate the belief that work is somehow separate from all the other aspects of living. When we strive to achieve an idyllic balance between the two, we only create stress for ourselves and those around us. Many people enjoy their work so much that it forms the bedrock of their lives, whilst for others it is merely the means by which they support their families and social activities. I have coached hundreds of senior executives and military leaders and rarely have I met an individual that feels that he/she has a healthy balance between the two. The constant struggle to achieve the unachievable only leads to endless amounts guilt and anguish. But all is not lost! What can be developed, over time and with effort, is a healthy ‘relationship’ between the work and social elements of your life. Whichever way round it is, there must be a harmonious relationship between all the differing parts your life which allows you to flexibly move between them more comfortably. There will always be natural tensions; times when one side or the other requires more of your attention and energy than normal. These peak periods will test the relationship between the two sides and it’s important to take time to appreciate the importance of each, and the critical role that each plays in your emotional and financial well-being. As with all important relationships, each side must be prepared to compromise at times for the good of all. What are the most important things in your life? What springs to mind when you consider your family, friends, pets, company, career, health, community, etc? What are you actively doing about each of these aspects of your life? Are you investing the appropriate amount of time and effort on each of them? How do you feel about the relationship between them? Fast forward 25 years. What advice do you think the future you would give you about how you spend your time right now? What would you like to be doing that you think you can’t do now? Make work a place where people want to be. There will always be challenging locations and roles, but as a leader, it is up to you to create a working environment that allows people to feel valued and proud of what they do. Help them to view their work as a healthy and essential part of their lives, not a separate element. Set clear boundaries and expectations, both for yourself and others. In today’s ubiquitous electronic communication environment, it is common to answer e-mails and business calls during personal time, even holidays. Depending upon your personal situation, this may be perfectly acceptable, however it could be potentially very damaging to both your own relationships, and those of the people you lead. Set the right example. As a leader people will always follow your actions rather than your words. Put in the long hours and extra effort when it’s needed, but show your people that you have a developed a positive relationship between your commitment to work and respect for your family and social relationships. Encourage them to be doing the same. Where possible, allow for flexible working. Many companies have identified the value to be gained from adopting flexible working practices. Research shows that happy, healthy employees are more productive so you really have nothing to lose and so much to gain! Manage work time effectively. Not always easily done, but the more productive you, and your people are at work, the more time you can free up for the social aspects of life. Consider using the Leader Focus App for the iPad to help you and your team to set priorities and maintain focus throughout the day so that the important things that will make the biggest difference are achieved. Accept that others are different. Once you understand your own drivers and motivations, you need to appreciate that those around you will have their own differing priorities. Avoid foisting your own ‘working life relationship’ on them as this may cause unnecessary stress on you both. For most of us, work is an essential and important part of our life, and it’s time to stop trying to create an impossible ‘work/life balance’ and focus instead on developing a healthy ‘working life relationship’ that will allow you to enjoy all the things that make your life more meaningful and satisfying without increasing the pressure on either side of the relationship.